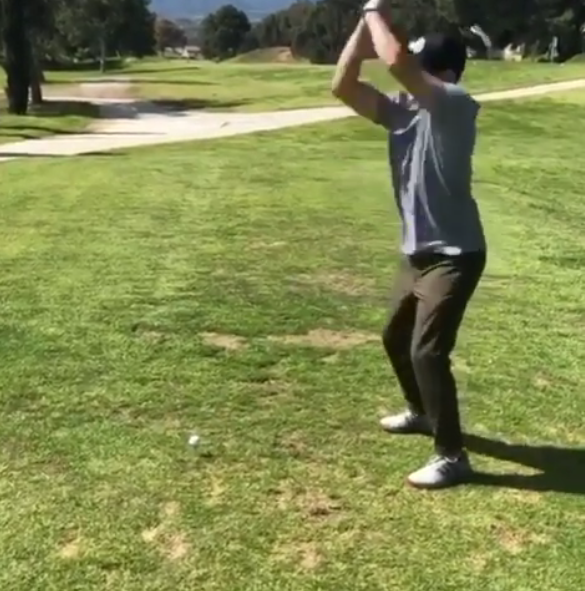 Video: What Do We Call This Swing? Thanks to reader AG for this one that we discussed on Morning Drive today. Fittingly, on April Fool’s Day. Best Trick Shots Of 2018 And One Fun Entry After The Deadline! On Monday’s Morning Drive, we covered just five of my favorites after a painful vetting that left some amazing creativity on the cutting room floor. So we whittled the best down with a theme of harder-than-it-looks! Or in the case of winner Joshua Kelley’s, crazier than it looks. Well done all you tricksters! And a fun late entry after Academy chimed in! Actually, don't snap a club around anyone's neck, kids. Good to see he's mellowing with age. From round four of the BMW PGA Championship at Wentworth. **Seems Jugglin Josh is just the portal for the talented Michael Furrh, a three-time record holder of this feat who was breaking the record again. We discussed on Morning Drive. This is fun and a fantastic sales job by a budding Australian pro and trick shot artist. 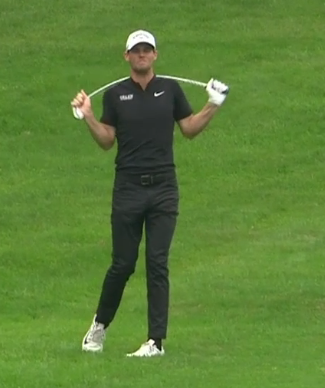 We may be witnessing Joshua Kelley's version of Picasso's Blue Period, as the self proclaimed trick shot artist is cranking out some classics. Follow him on Instagram if you aren't already doing so. We discussed his two latest gems on Morning Drive today. Make sure to watch The Riser Shot on a big screen. I was hitting some flip wedges today and became pretty impressed with how quickly I got those Mack Daddy's airborne off a mat. Then I saw the latest from our old trick-shot artiste friend Mathias Schjoelberg and I realized, uh, some people just have gifted (and absurdly strong) hands. Here's a new variation on a shot he's perfected in other ways from his knees and off a mat. But this one is off grass and he's standing, calling it the "backflop". Mind blown! How does Steel Lafferty stay on the board while hitting a shot? I love the winter blues! So much time to plan! What else is there to say but brilliantly conceived and executed by Ryan Rustand of the Virginia Golf Center with help from Pat Graves, gymnast and flip expert! Back with another gem is Indonesian pro golfer Rinaldi Adiyandono, he of the shirt pocket shot that still mesmerizes. Video: Kangaroos Fighting Over A Green Complex Design? Or something like trivial that. Not nearly as adorable as the kangaroo that played with the flagstick, but almost as entertaining in a "what do they really think will be accomplished here" way. From Ian Baker-Finch, who is back Down Under and presumably will be heard on the upcoming string of Aussie tournaments, starting with Wednesday's Australian Open.